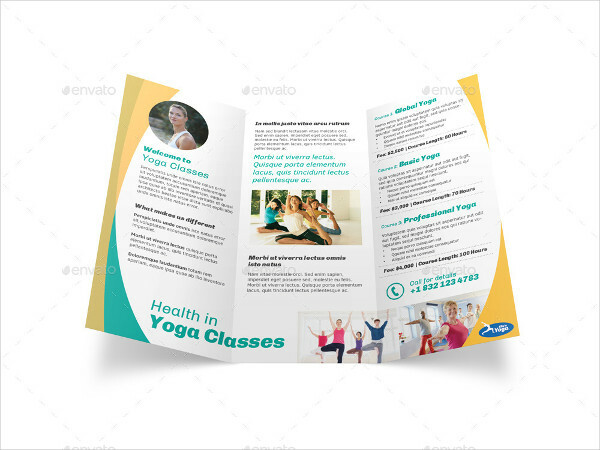 A brochure examples is technically an informative paper that is used to advertise any type of business, such as products, events and other services offers. 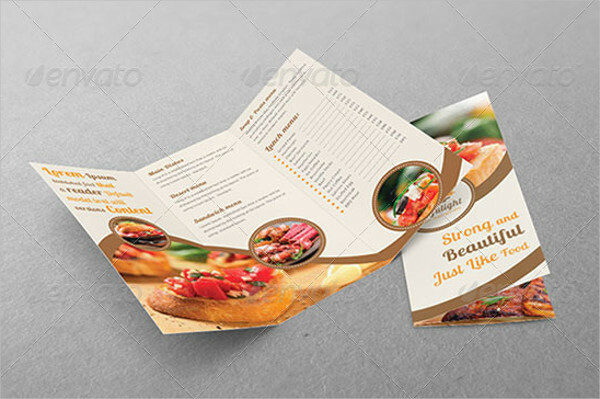 This type of printed material comes in various ways, they could be folded either be in a form of a template, a leaflet, a pamphlet. 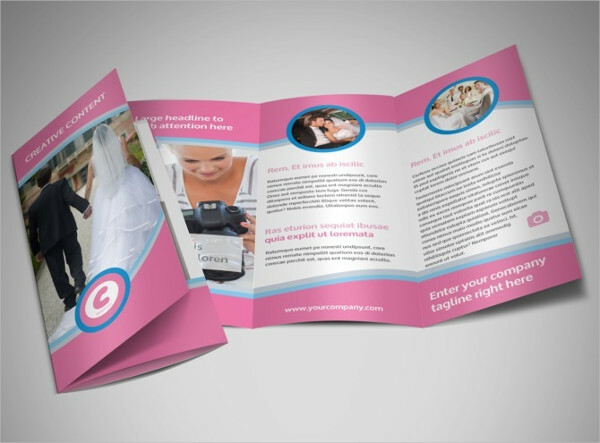 There are lots of ways of creating a brochure, you just need to get that creative side of you. In the progressing world of business, it is a must to find ways on how to keep it moving. So business establishments nowadays resort to advertising their products and services offered through the means of distributing brochures. 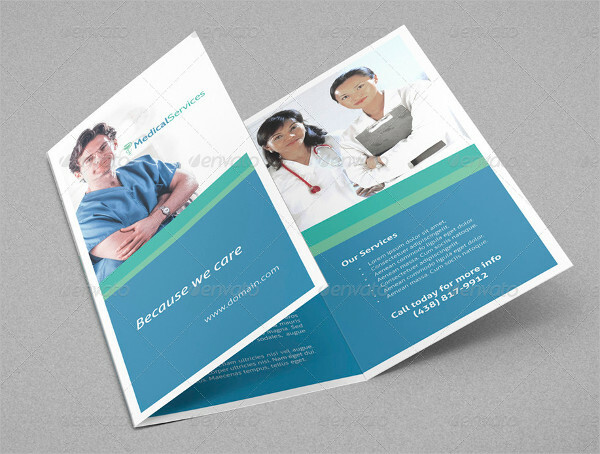 In creating a tri-fold brochure it is always wise to get tips from the experts. Why? 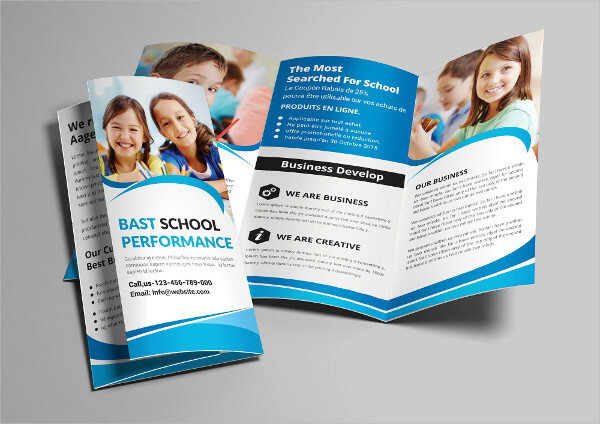 Of course to make your advertising brochure tool effective and efficient in marketing your the business you are establishing. 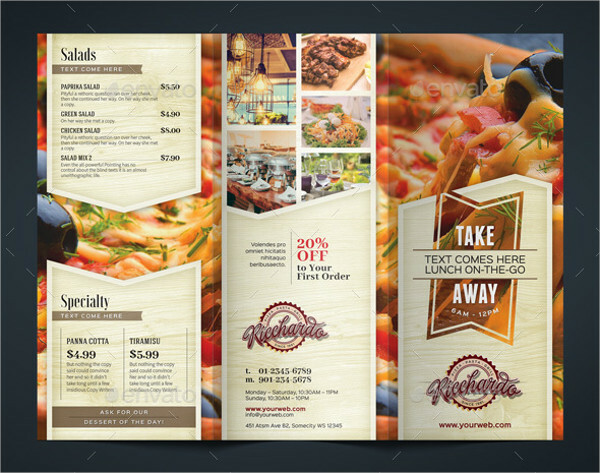 For the Front Panel- The front panel must bear the headline, sub-headline, the business/product/ service name.Don not forget to include the business logo as well for it helps in catching the attention of the readers. You have to make sure that your headline is an eye-popping headline, it must create interest at a fist glance. Choose a text font and font color that is not confusing to a human’s eye. Next is your sub-heading, a good subheading supports the headline, and a good headline is being backed up by its sub-heading. The two must come hand in hand. For the Interior Panel- This is the inside part of the brochure, when you flip the front page, there is the part in the left, the center and the right art, these three are considered the as the most important part of the panels because it must contain all the necessary information. product or service you are promoting. include pictures in this part but make sure it won’t take much space on the area, the words are still very important. For the Back Panel- this area is located at the back part of the center part of the interior panel. This portion must contain the contact information and the complete physical address of the store or a certain branch (if any). 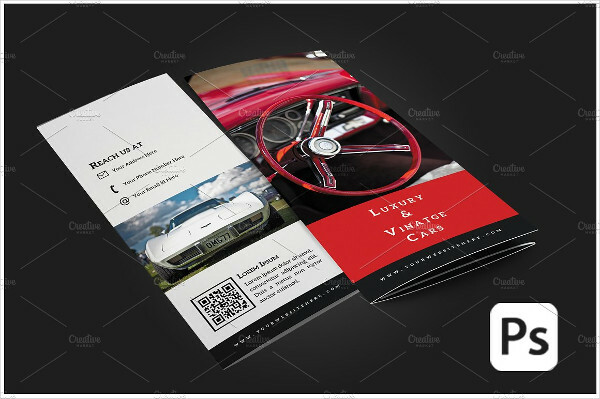 Take note, you need not to put too much design on the back part so the texts could be easily read.If you are interested to create other types of brochures such as advertising brochures, and company brochures, feel free to browse our site, we have lots of samples available. 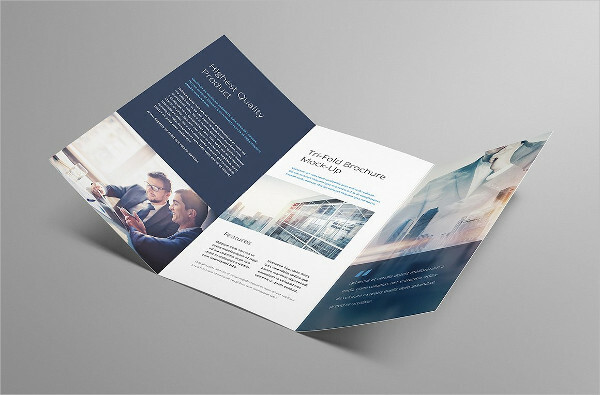 There are lots of ways of ways in designing a brochure and one of those ways is the tri-fold real estate brochure. But there are lots of questions being asked about to tri-fold or no to tri-fold? 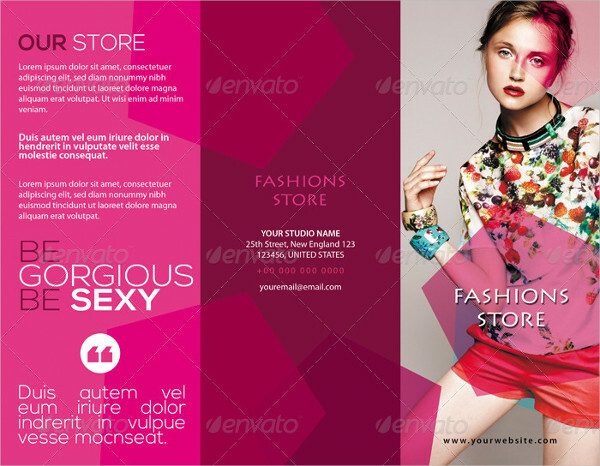 Surely, each and every design of a brochure has different good and bad sides. 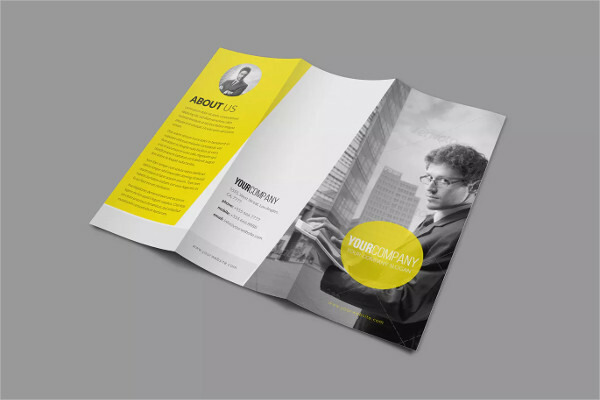 As a person who is planning in making one, try to consider the brochure designs you might be using. There are lots of things you need to consider the pros, cons and the common mistakes you might encounter while making such. 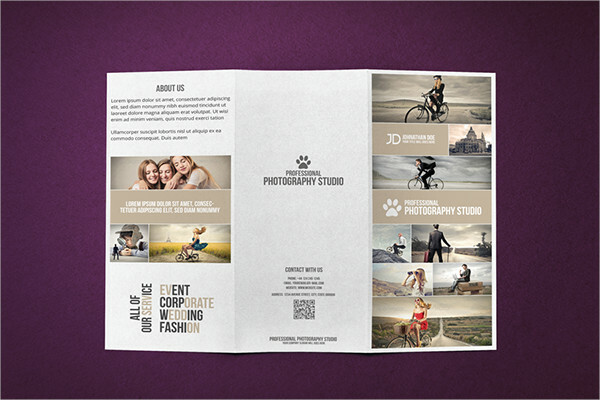 So you should always be careful and keep these things in mind to avoid messing up with your brochure. 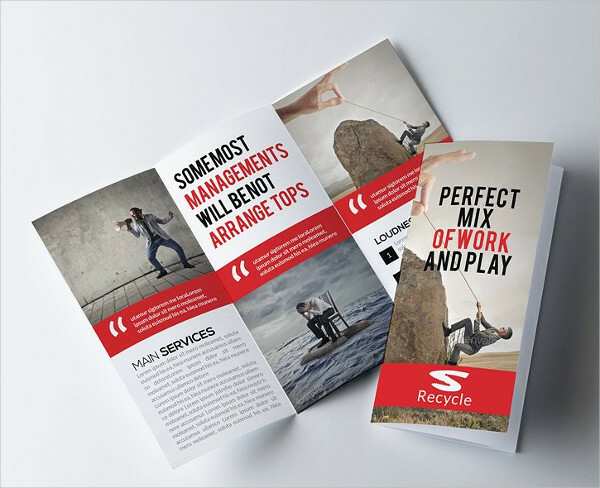 Aside from being considered as one of the powerful marketing tool, brochures are flexible, they can be easily folded and could be printed in any type of paper. It also takes less counter space so it easily fits in your pocket or in a lady’s small bag or even a purse. It is also very easy to display, you can go ahead and put them in some sale items on mall, or stick them in car wind shields or just right at the window pane in some homes. They can be easily handed to those people in public places too. 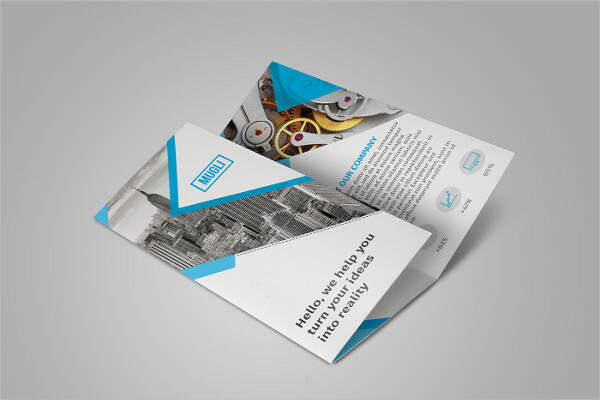 Tri-fold brochures are unique. Imagine, it has three panels all in folded in one. 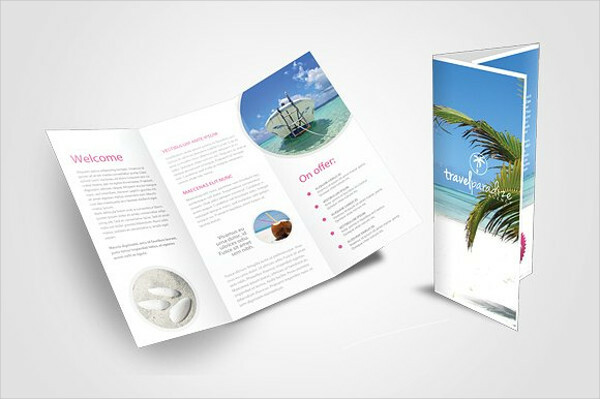 Resorting to tri-fold brochures are also at ease and practical. Awesome right? 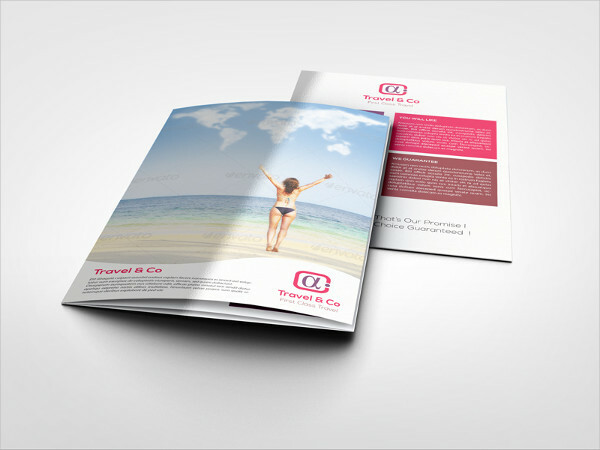 If you think you are not sure enough that you can do it on you own and if you only have a limited budget in producing your brochures, why not go ahead and browse our sites, we have availability of downloadable and printable brochure samples, such as advertising brochures that’s helpful in showcasing your product and service or you can also resort to some of our business brochures (eg. 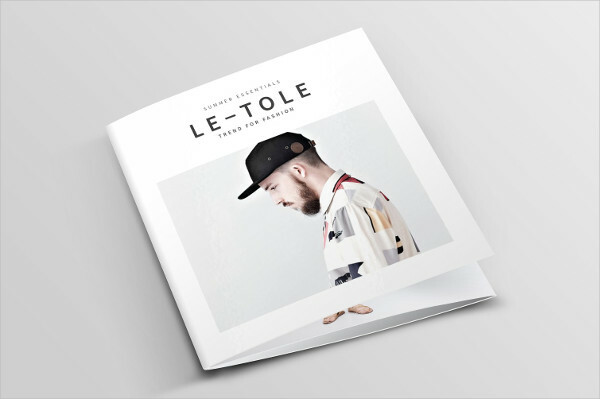 event brochure). 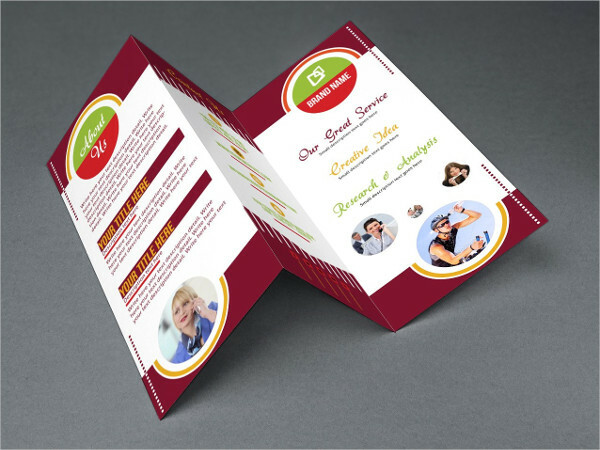 Business establishments rely so much on advertising to keep their business stable or even soar high and beat their business rivals that is why people resort to giving out business brochures and advertising brochures. 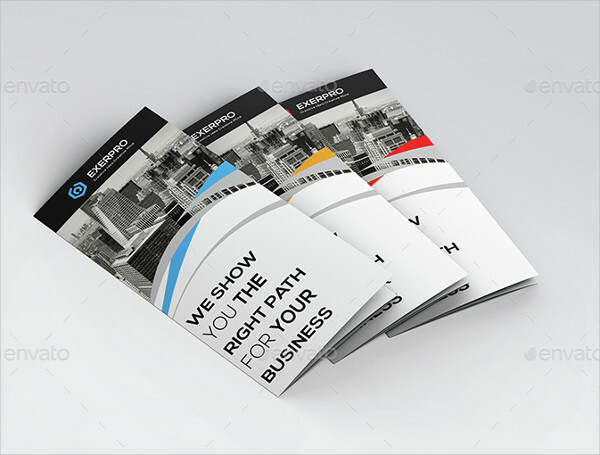 When we think of brochures, the first thing that would come to our mind is simply “business”. But what about if we go along being specific? 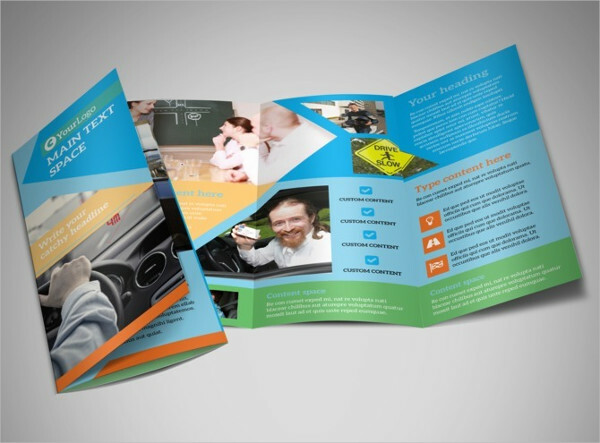 What about a tri-fold brochure? Does it have any significance in advertising? Is the tri-fold style really very important? 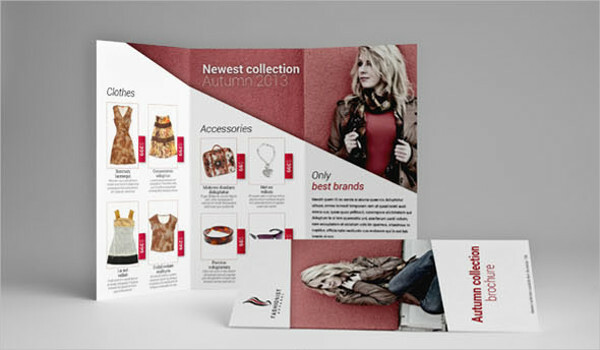 Tri-fold brochures are practical and ease. 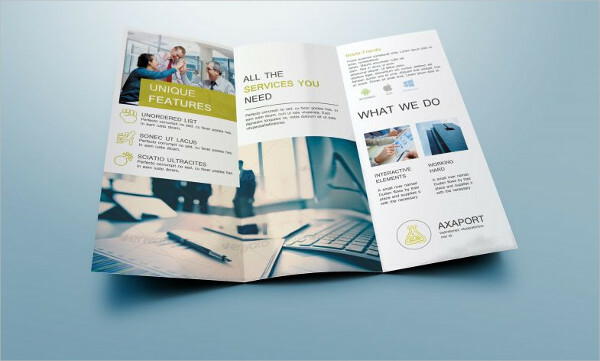 Since brochures are always, always flexible, tri-fold brochures are much more of an advantage because it shows how an information could be in tacked in just three panels. 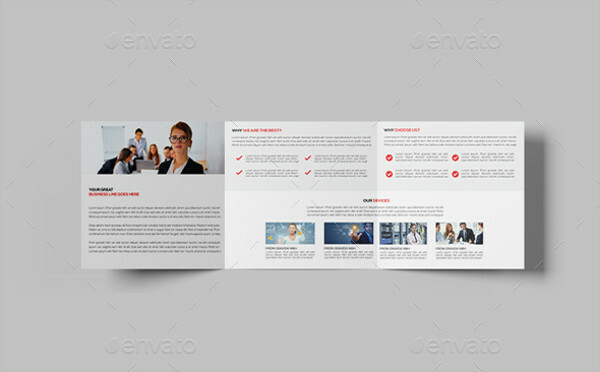 The front panel that contains the headline and sub-headline, the interior which contains the important details and the back panel which bears the contact information. 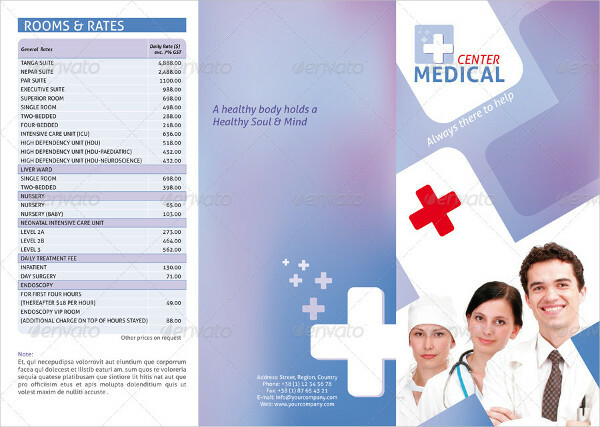 Tri-fold brochure is the type of brochure that is very easy to print since it is very common. 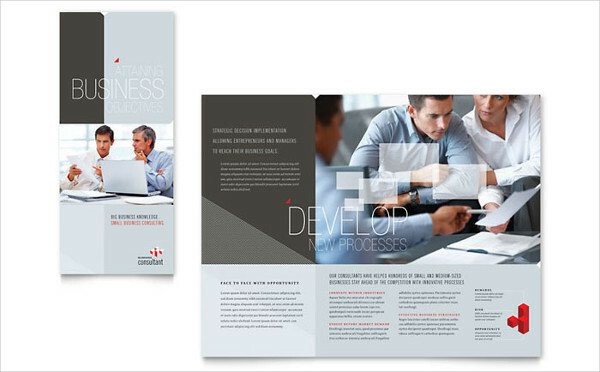 So you don’t have to worry if you are customizing your own brochure. You have lots of reference on how to do such. Very easy. 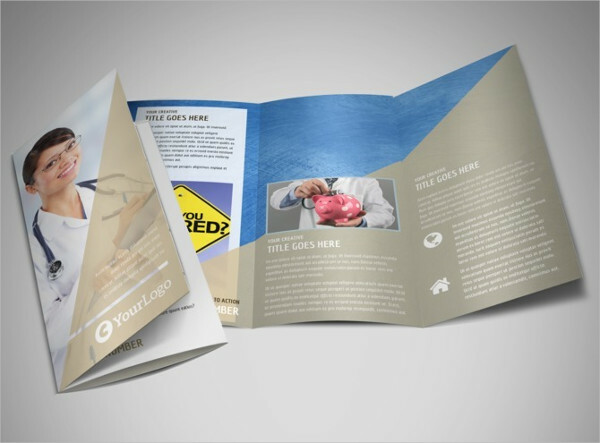 Tri-fold brochures are dramatic. They convey a creative way of advertising. 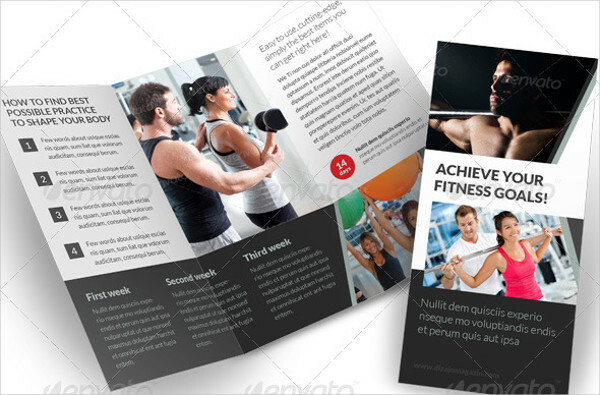 It would give an impression to the readers that the product or service that you are advertising is a must to have, because you exerted effort in creating such brochure meaning, you would like them to experience the benefits your product or service may offer. 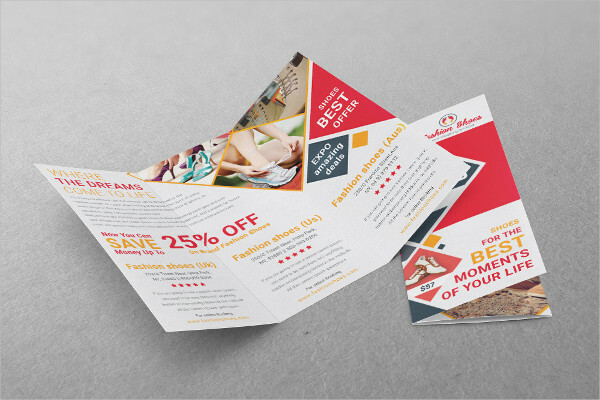 Tri-fold brochures saves money. 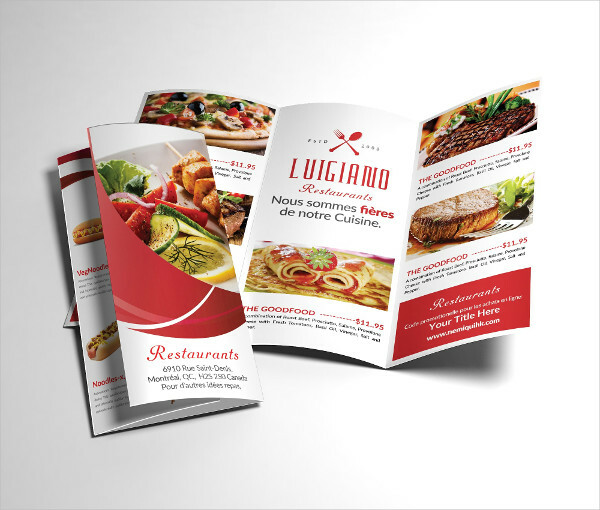 If you are on a limited budget, surely use the tri-fold brochure aside from being simple and easy to create, you need not to hire a professional designer to help you in making such. 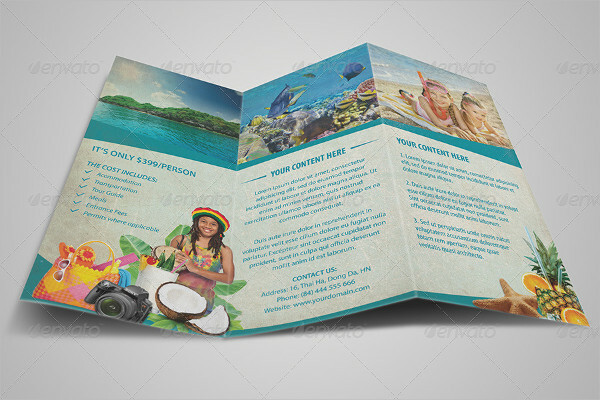 Tri-fold brochures are always readily available. Even online. 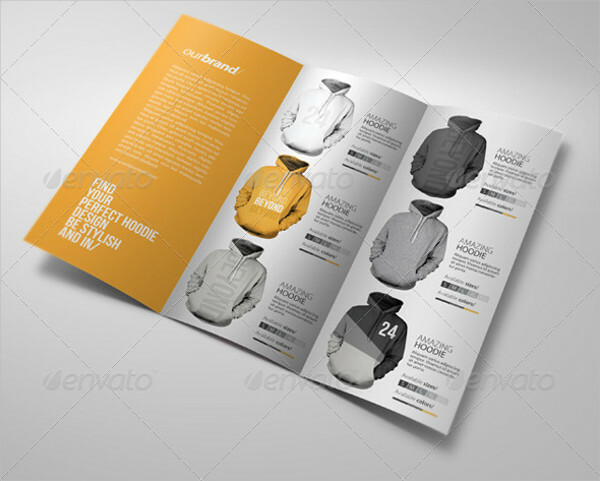 We have lots of brochure samples available on our site. 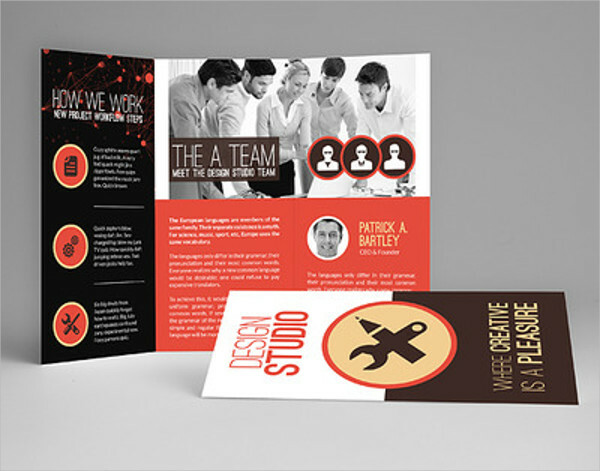 May it be an event brochure or an advertising plan, surely we can help you get done. Plus it’s hassle free because some of our sample are downloadable for free. So now, to tri-fold or no to tri-fold? I guess you won’t choose the latter. Surely, you won’t.